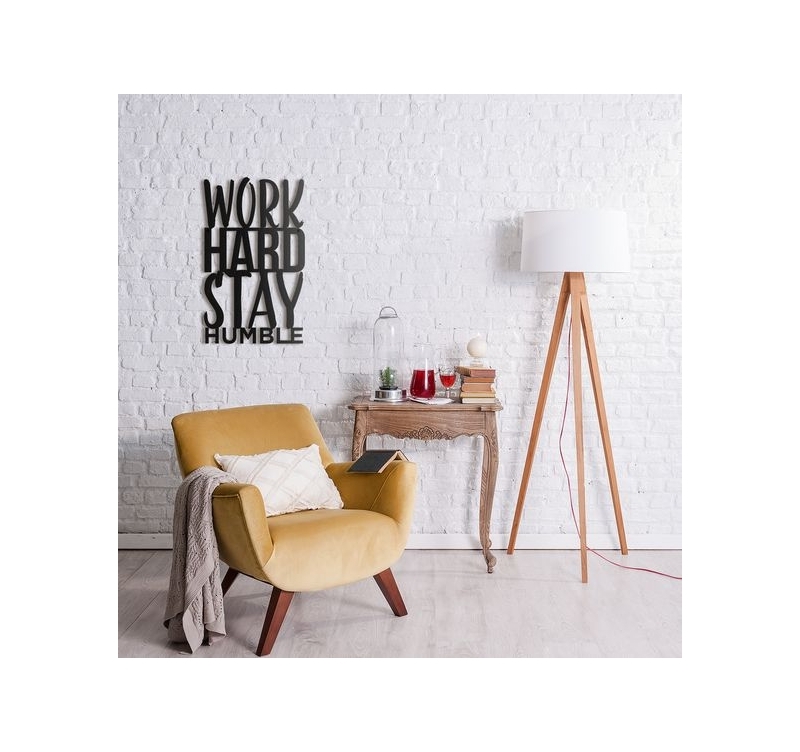 Reach the top with this modern wall decoration ! The famous Work Hard on a design metal sculpture. The dimensions of this metal deco sentence are 30 x 50 cm. This contemporary wall decoration is delivered free in metropolitan France and Belgium. 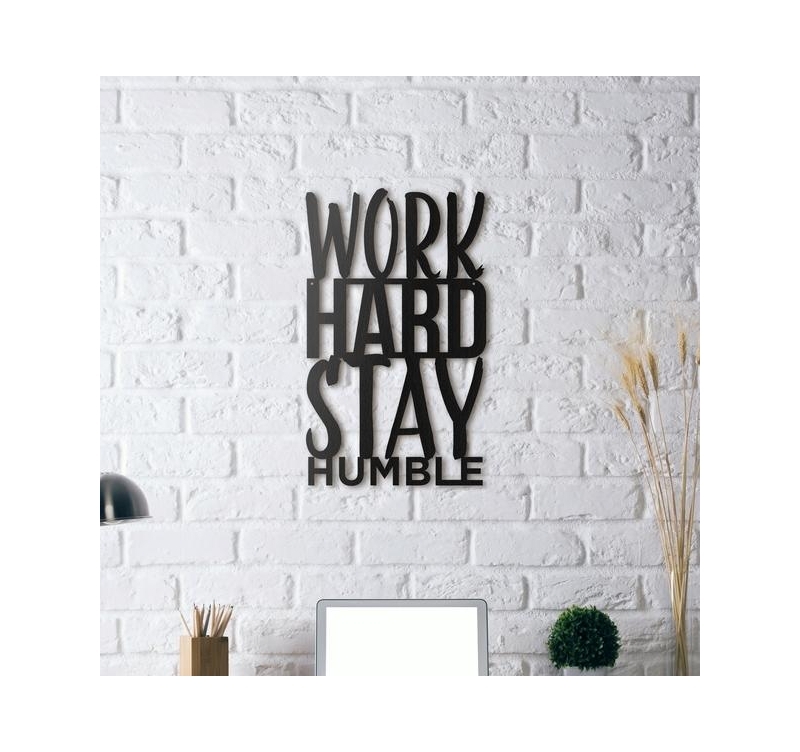 To all of you entrepreneurs and people that work hard to make their dreams come true, this metal wall decoration is made for you. 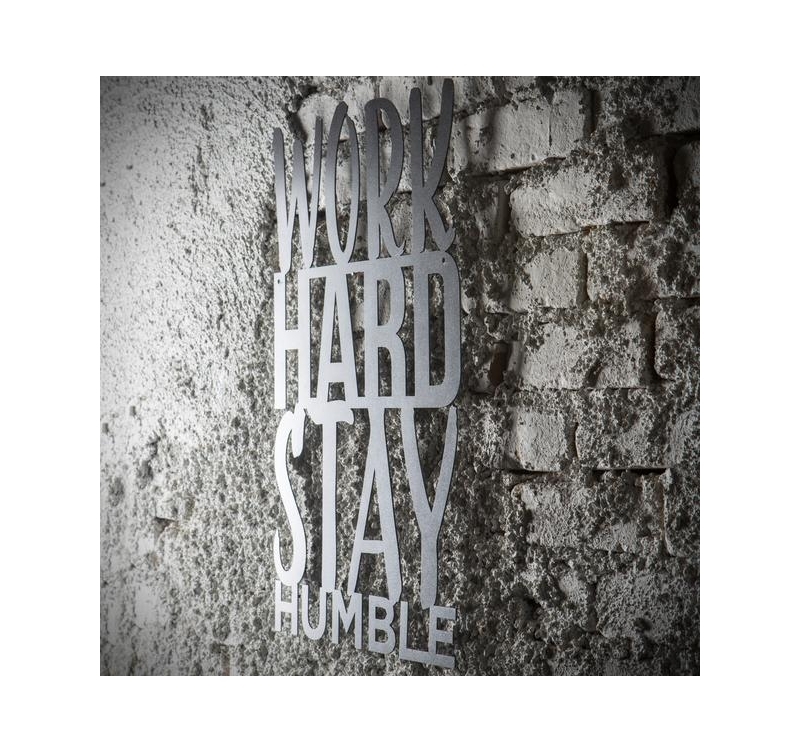 This decorative Work Hard will be the perfect design metal piece to give you energy and the will to start doing. 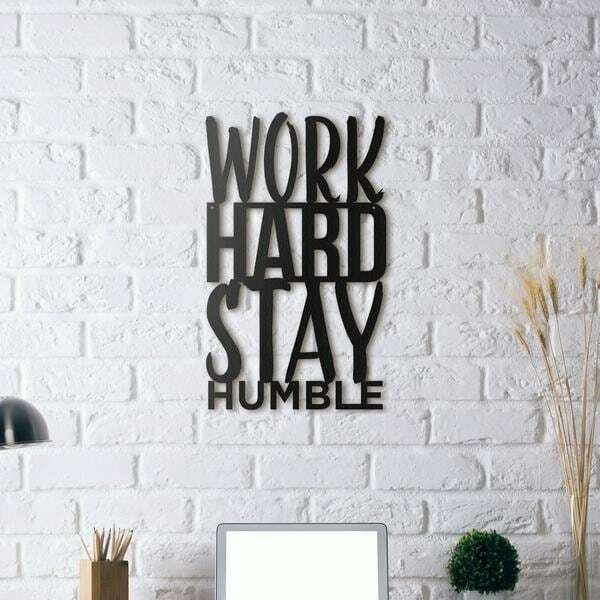 Please your self with this contemporary wall deco quote for a cool and dynamic interior. All our metal wall decorations are hand made by our creators and treated with a black finish for a long lasting quality. This design deco quote is wrapped in foam and in a protective cardboard box for a safer delivery.